syrup an equal amount of ginger ale. Pour over the pears and leave 2 hours or until mushy. 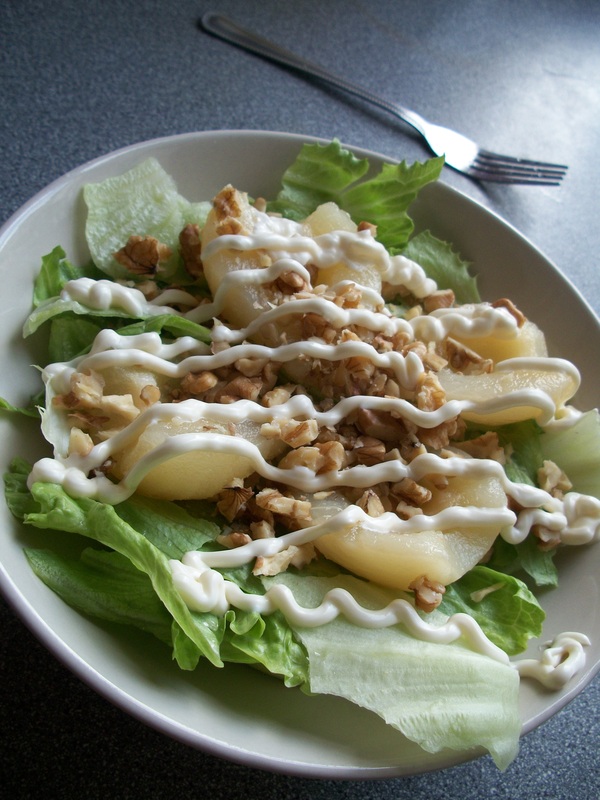 Place pears in nests of lettuce leaves, fill center with Preserved ginger, chopped, or with chopped nuts, or with cream cheese, and serve with Mayonnaise dressing, Or omit lettuce and serve with whipped cream. I used the lettuce (iceberg) and chopped nuts (walnuts) variation. How did it taste? Well… to anyone who’d eat it I would say, I hope you like mayonnaise, because that seemed to be the most flavorful element of this salad. The ginger ale coating on the pears didn’t really seem to shine through very much. It was just a kind of mayonnaisey walnut mixture for the most part. Pity. I think for a modern palate perhaps instead of preserved ginger OR nuts OR cream cheese, the salad might seem better if it were made with all three. Also it seems like maybe if the mayonnaise were mixed with the ginger ale into a dressing it might play a little better – any of the ginger ale’s flavor really is quite covered up in the recipe as given. Alternately, using fresh pears instead of canned, and cooking them in the ginger ale might come out a little nicer and perhaps show a stronger flavor. Fresh fruit wasn’t always easy to get in the 1920s, by my understanding, so that’s probably the only reason canned pears were specified over fresh. 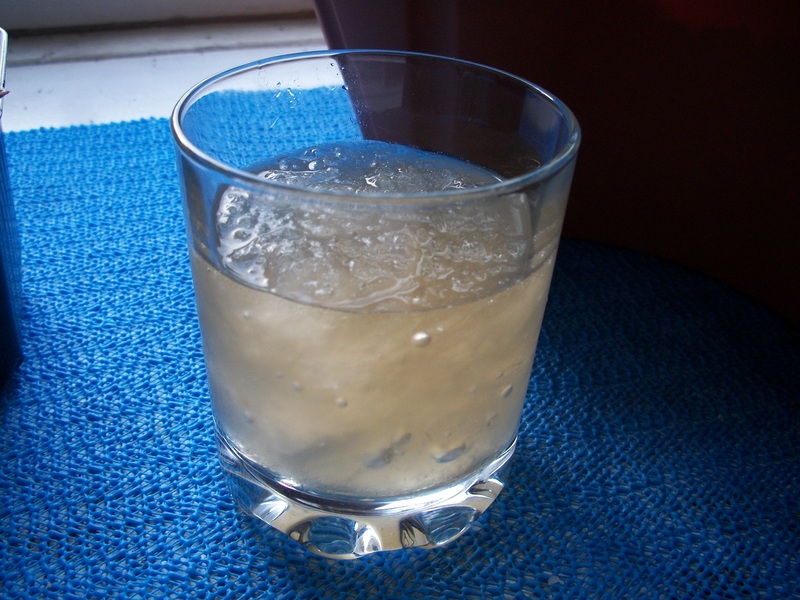 Since I had quite a bit of ginger ale left over from this experiment, I tried another Refrigerator Recipe (from the chapter entitled “Frozen Delicacies to Tempt the Invalid”). This one is pretty simple. 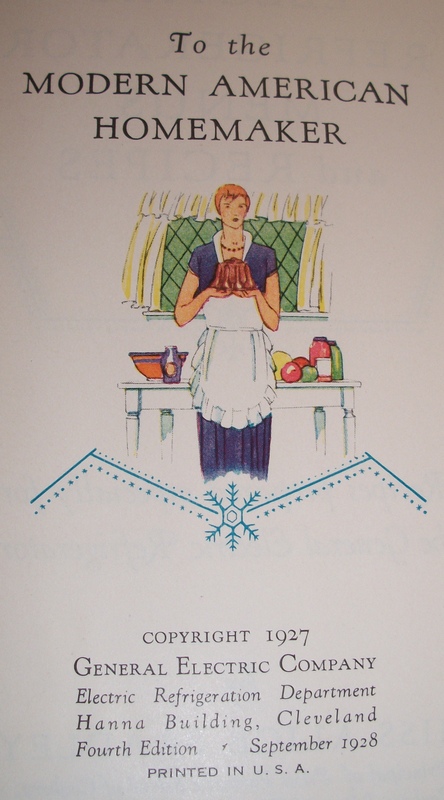 You freeze and periodically stir ginger ale till you get an icy mash, like a primitive version of a slushy. It is pretty hard to mess up – as long as the ginger ale is acceptable tasting to start with, so will be the final result. 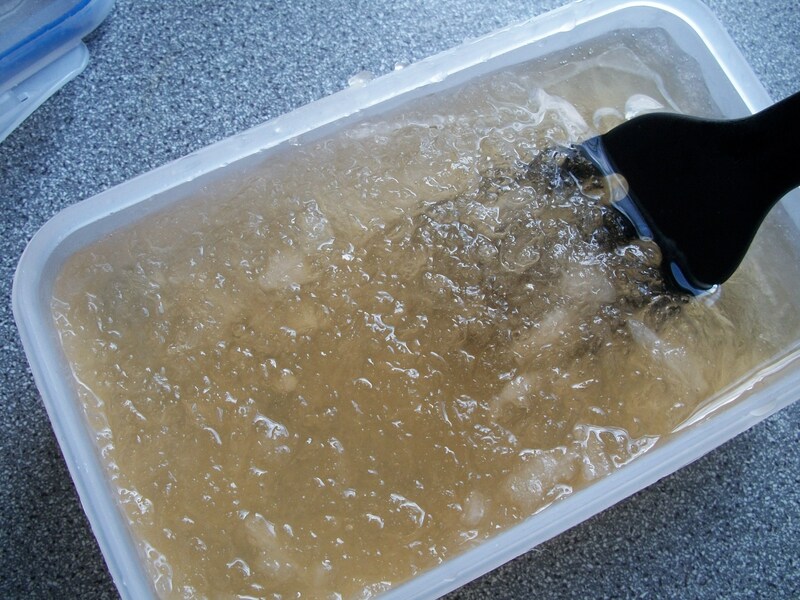 It took a lot longer to freeze than the book indicated – it said ice should begin to form within 15 minutes and the mixture would be ready in about 40 minutes. It took me almost an hour to even get ice forming. Again, the taste of this is merely that of the ginger ale used; the texture is pretty much all that’s been changed. All in all, it’s felt by those who know that the cookery of the 1920s tends to be rather bland by today’s standards, and these experiments certainly agree with that conclusion. So much for ‘food like Grandma used to make’! 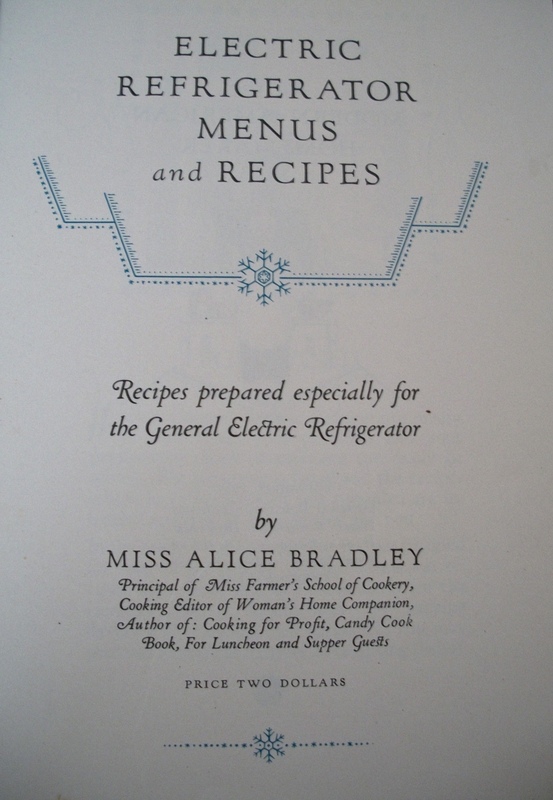 This entry was posted in 1920s, General Electric Refrigerator Recipes and Menus. Bookmark the permalink. i wonder whether ginger ale was more gingery in 1927. It’s possible people made their own cordials then, to their own (more robust) tastes. Freezing, as we know, tends to diminish flavours. You could use a fiery ginger ale, maybe, but I agree crystallised ginger would add more of a kick. I had a couple of leftover pears from this, that I left sitting in the ginger ale. When I got around to eating them about 2 days later I could actually taste the ginger ale — but that’s a far cry from the two HOURS the cookbook had directed to let them soak. While I could agree ginger ale may have been more gingery in the past, at the same time, I was using the Canada Dry brand that claims to have been around since the 19th century.